Spanish is one of the most spoken languages in the world. Learning Spanish language abroad is the ideal form to learn and to improve your future career prospects and to find a good job in the companies, it can also help to get a deeper inside into Spanish culture and to gain friends from other country. Our school was founded June 2002 and is located a little outside of the typically “Tico” town of Turrialba. In Turrialba you can find a few hotels, some restaurants, (pool) bars, coffee shops, ice cream parlors, discos, a cinema, swimming pools, banks, internet cafés, a post office and gyms. When coming from San José, 10 minutes before entering town, you take a left into “Barrio El Recreo” to enter the “Entrada de Chirraca” and arrive at our Spanish school, an oasis of peace and therefore a great place to study spanish and relax. At 850 meters, it seems a little less hot and more “tranquilo” than in downtown Turrialba. Universal de Idiomas offers you a warm and friendly atmosphere, which makes learning very easy. At our school you get to know people from all over the world and our host families will show you the culture and society of the country. The school is located in the heart of San Jose, right where the action is. You will have access to countless restaurants, discotheques, museums and shops. San Jose is the ideal place of departure for trips throughout the country. Academia Tica is proud to be one of the first Spanish schools in Costa Rica and one of the longest standing since 1986. We’re a Costa-Rican run business with finesse for quality. This has been recognized with an Instituto Cervantes Accredited Center certification, the most important qualification for schools that teach Spanish as a foreign language. Amistad Institute is a Spanish language school and a volunteering programs organization with two campuses; one in Santa Bárbara de Heredia and one in Jacó Beach Puntarenas. We offer several language and volunteering options. Amistad Institute is an organization located in Heredia and Jaco Beach, Costa Rica. Amistad’s Founders have near 20 years experience in the language immersion and volunteer industry and collectively our National Office staff has experience in language training, volunteering for social development, non for profit administration, and tourism. All staff members have several years working with us, and understand the challenges that international students face while studying abroad. We are a team of experienced professionals who are passionate about offering Spanish language, volunteer and travel experiences in Costa Rica. Amistad offers a wide variety of volunteer opportunities for international students. Our Programs provide imagination, great experiences and the simple personal touch that everyone is looking for! Study Spanish in Costa Rica with Intercultura in 2 exciting locations- Historic Heredia or our Tropical Beachfront campus in Playa Sámara. Group classes start every Monday and run 4 hours a day for a total of 20 hours each week. Come for one week or several months; it’s up to you! Can’t decide which campus? Try them both! At Intercultura, we offer seamless Spanish studies between our two campuses. Included in the tuition are numerous extra-curricular activities as well such as Latin dance, Spanish movies, Cooking Class, yoga*, jewelry making* and more! ILISA was founded in Costa Rica, our mission was clear: to help you reach your learning goals by creating the ideal conditions in which to learn. Since that time, we have worked hard to exceed your expectations both in and outside the classroom. In 2013 ILISA expanded operations in Panama City to give you a new option in Central America, but always following the same philosophy than Costa Rica. We combine a highly motivated and well-trained staff, flexible and professional service with comfortable, well-equipped facilities and student-oriented approach to help you reach your goals. That’s why we are the only language school in Latin America to guarantee your satisfaction. Instituto Estelar Bilingüe, in Liberia, Costa Rica, is a fantastic choice for people wanting to immerse themselves in the culture and seriously study Spanish. We offer an exciting cultural and language experience! Stay with a local family and attend daily Spanish and culture classes (Latin dance, cooking, art, etc). Interact with our English students and make new friends. Enjoy our conversational classes with experienced, certified teachers. Our staff is very approachable and ready to help you with whatever you need. You can make a difference in the community through our volunteer programs. Liberia is a traditional, safe city with a backyard full of natural wonders to explore either on your own or in organized trips. Academia Centroamericana de Español (ACCE) is a Spanish School located in Grecia, Costa Rica. We specialise in Spanish immersion programs for students with all levels of the language. We are committed to offering the best learning experience by putting together a program that will allow you to learn Spanish, not only through academic excellence, but also through experiencing the rich culture of Costa Rica and Central America. We have several specialised programs, such a Spanish for Social Workers, and Medical Professionals. ACCE caters to the specific necessities of all group, also, serving as an organiser for all your touristic desires in beautiful Costa Rica. Morpho Spanish School is a small language school located in the beautiful Orosi Valley, near Cartago, where we offer you a chance to learn Spanish using a simple yet effective method which will give you excellent results. Our teacher, Natalia, has more than ten years of experience teaching the language in an entertaining yet professional manner. Doesn’t matter if you’re a beginner or advanced, we have curses for everyone. AiL is a small family owned business where we will make you feel welcome and at home right away. Our language school is located 10 minutes away from the Alajuela City Center and only 15 minutes from International Ariport Juan Santamría. Our well-equipped classrooms and dedicated teachers will make it very easy to you to learn Spanish while you enjoy the happiest country in the world! We know that linguistic proficiency can only be achieved through absolute immersion and exposure to true cultural products. It is because of this that nothing would make us happier than to be given the opportunity to provide students with the chance to spend time in a foreign country, surrounded by an eager and friendly community. We also know this kind of experience will help people master a foreign language and will also expand their horizons, and enrich their lives. Some of us think that speaking other languages like Spanish (aside from English) is useless for it is not used as a medium of instruction. Well, I can give you some ideas that would help you realize how great knowing two or more languages at the same time is. Speaking Spanish is both pleasurable and fun. Spanish is expected to be spoken by at least 50% of the whole of population of the United States within just 50 years and it is also one of the world’s most phonetic language. Learning Spanish gives us a lot of opportunities to meet new people, gain new friends and most especially to have more fun. It will also allow you to better appreciate Hispanic cultural contributions. According to Johann Wolfgang von Goethe; “He who knows no foreign language, knows nothing of his own”, it cannot be denied that by studying Spanish you will without doubt gain a better understanding of English. Many English words are of Latin origin so is Spanish, and when you learn the vocabulary in Spanish you will simultaneously be expanding your English vocabulary. Research also says that people that knows one language are more prone of having dementia, including Alzheimer’s Disease. Spanish Language can also improve your memory and slows age-related decline in mental acuity. Learning Spanish is something that will benefit you for the rest of your life! If you want to study Spanish and have fun learning different cultures and appreciating beautiful historical places, Mexico is the one for you! The city of Mexico is not just rich with their amazing history; it offers places and views that will surely captivate you. Food at Mexico is also a must try! Their tacos and guacamole will certainly make you want more of Mexican food! Disclosure: Prices may change due to exchange rates. LET’S TALK ABOUT SPAIN ! What comes to Your mind when you hear the word spain? In mere mentioning of the word Spain, there would probably be three words that you could think of. Alluring, Traditional, and Snacks. Alluring. 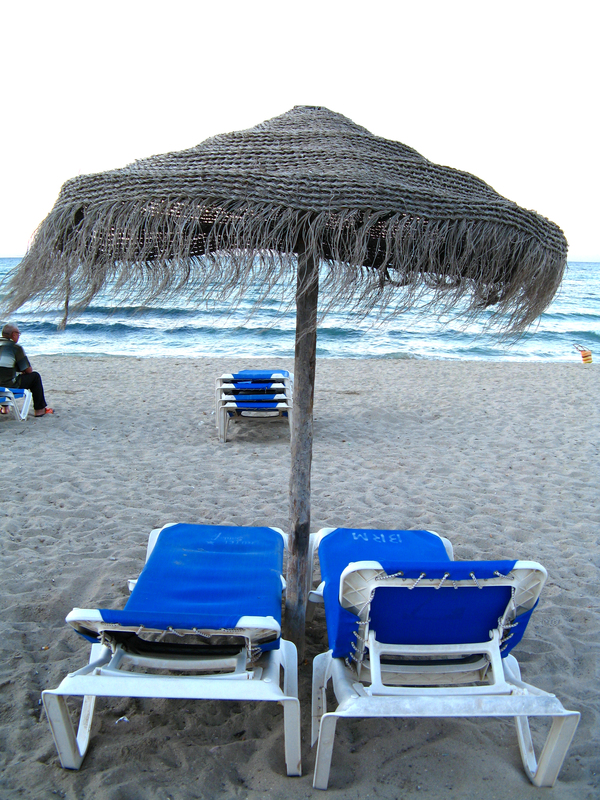 Aside from having the best beaches for summer, Spain is more fascinating than that, for they also happen to be loaded with fiestas all year round; varying from being grand, modest, religious, to just plain silly, they just like enjoying good life. Who could possibly hate that, right? Traditional. The most popular and oldest traditions in Spain are Flamenco dance and Bullfighting. Nobody doesn’t know what Flamenco is. The dance has a famous trademark of wearing a red/black dress that often symbolizes fire, wildness, and passion when dancing. 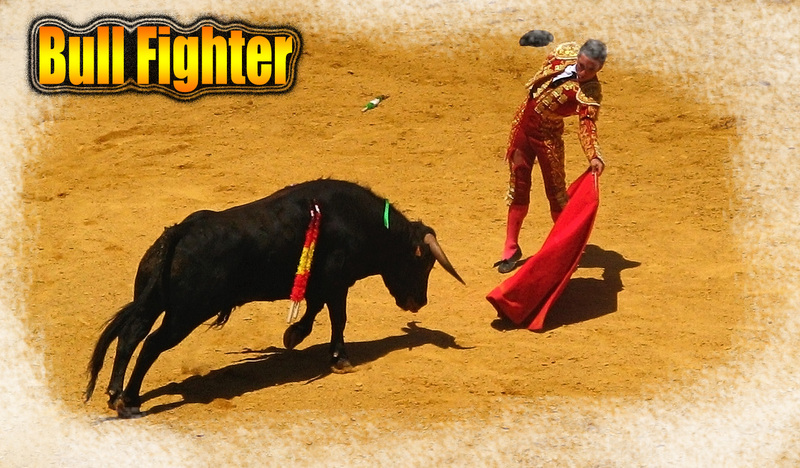 Bullfighting on the other hand is a tradition that should not be missed; it involves a great matador with red bandana and a single bull charging in. The cultural thrill it will bring you can be a little overwhelming but also very gratifying.